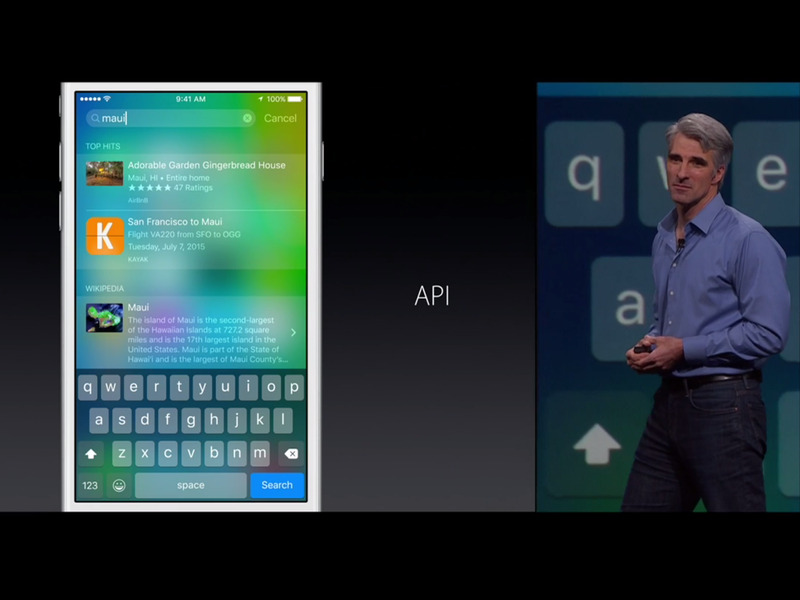 AppleCraig Federighi, Apple’s senior vice president of software engineering, made the announcements at WWDC. Google and Facebook are widely regarded as being more innovative than Apple when it comes to developments in the coveted field of artificial intelligence (AI) — hailed as the next major area for computing. While Google and Facebook have developed self-learning AI agents that can learn and master complex games like Go, Apple has remained relatively silent — offering little more than a personal assistant known as Siri. Facebook has also shown off Chatbots, while Microsoft made a regrettable foray of its own into the world of bots with Tay, a controversial Twitter bot that ended up being highly offensive (as a result of humans). keyboard recommendations based on text message conversation. Each of these features relies heavily on AI. They employ software that analyses what’s going on (be it in a message thread, or a photo library) and then makes or suggests an action based on the information it is presented with. Although none of the features are unique to Apple, the company will be betting that they are slicker, better-better designed, and more friendly on tis devices than they are on other platforms. After all, these are the areas where Apple has excelled in the past. Unlike recent keynotes from Google and Facebook, Apple didn’t dwell on the fact many of its new features are supported by AI. But just because Apple’s not shouting about something doesn’t mean it’s not interested in it. Look at the self-driving car that it’s developing, for example. Behind closed doors, Apple is likely doing a lot of AI research and development work in many of the same areas that Google and Facebook have been shouting about. You just won’t know about it until Apple figures out how to use the technology in its products.